Men's Western Hand Laced Polished Floral Buckle Set and Gold Star Conchos. 1-1/2" Oil Tanned Hand Laced Leather. 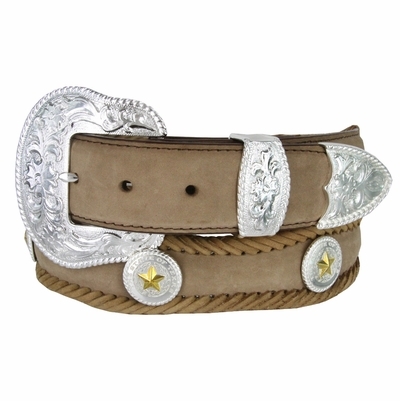 Comes with Snaps for Easy Buckle Change, Handlaced Edges, and 5 Adjustment Holes.